The dogs skin is an organ that is very important that you can be affected by diseases such as dermatosis. If you notice that your pet will appear spots or rashes on the skin go to the vet. In order to alleviate these symptoms, Purina Veterinary Diets has created this I think that does not include medications and that will help your dog to avoid future reactions. Purina Veterinary Diets Veterinary DRM Canine is a food, vet for dogs of all breedswith dermatoses and/or loss of hair excessive. You can feed your dog with this product to any age. The feed has been developed for breeds such as the Shih Tzu, the Boxer, the Bulldog, etc., do Not contain any kind of medication in their formulation. 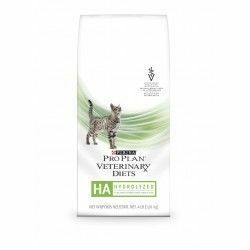 - Support for the hair: Purina Veterinary Diets Veterinary DRM Canine includes a high content of acids fatty OMEGA-3 and OMEGA-6. These nutrients will help your dog refuercesu hair and improve thehealth of your skin. In our section of Nutritional Supplements, you'll find add-Ons Dermatological to expand the care that you devote to the skin of your pet. 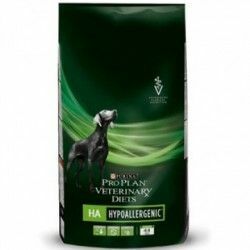 - Anti-allergy: to prevent your dog to suffer from some allergic reaction, the sources of protein in the feedhave been carefully selected. Skin - resistant: between the components of Purina Veterinary Diets Veterinary DRM Canine your dogwill find proteins of high quality, zinc, vitamins A, B, C and E, etc, These elements will facilitate thehealing of your skin. - Dermatoses, inflammatory, or allergic. - Adverse reactions to foods. - Healing of wounds and recovery of the skin. - Problems associated with a state hipercatabólico. Description: The dogs skin is an organ that is very important that you can be affected by diseases such as dermatosis. If you notice that your pet will appear spots or rashes on the skin go to the vet. In order to alleviate these symptoms, Purina Veterinary Diets has created this I think that does not include medications and that will help your dog to avoid future reactions. This I think is indicated to treat the allergies and intolerances in dogs of all ages. Indications: Indicated for treating allergies nutritional. Indicated to treat food intolerances.